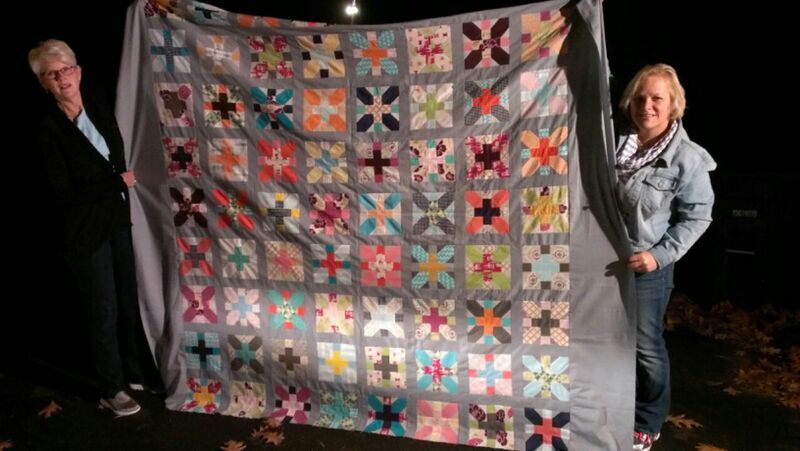 On their way to Houston this morning, Patty, Sue and an unnamed camera person snapped this photo of the quilt top! Thank you to all the members who worked on this! You all did an amazing job! Thank you to Twill for hosting the sewing relay! Thank you to Hawthorne Threads for donating the prints and a bundle of Hawthorne Hues!